So Cute!!!!!. . 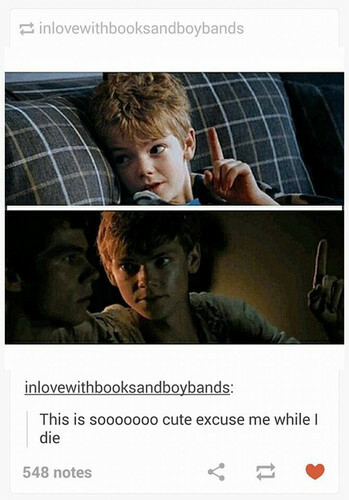 Wallpaper and background images in the The Maze Runner club tagged: photo the maze runner james dashner sam thomas brodie-sangster love actually newt.